The Mayor of Medvedja, Nebojsa Arsic said he hadn’t heard from the Albanian representatives there or anywhere else that they wanted to join Kosovo. Medvedja is not a part of Presevo valley. The majority of municipality’s population are Serbs. „There is no ethnic animosity here. There are no exclusively „Serbian“ or „Albanian“ restaurants, people spend time together, congratulate religious holidays to each other…. It is an example of a functioning multi-ethnic place,“ Arsic said for Vecernje Nnovosti daily . Arsic said that delineation was the subject for the highest state authorities to discuss and that state bodies were the place for discussion about rights of Albanians from this part of Serbia. According to the last census conducted in 2011, Medvedja has a population of 7,742 inhabitants of which there are a bit over 500 Albanians. There are also small minorities of Montenegrin and Roma people. Albania’s Foreign Minister told Albanians from southern Serbia that Tirana will continue to demand that Belgrade fully respects the human rights of its Albanian minority. Albanian Foreign Minister Ditmir Bushati said in a meeting in Tirana with representatives of the Albanian community in Serbia that his country will demand that Serbia respects their rights. „What we demand from Serbia is to provide you with the same rights that Serbs enjoy in Kosovo,” Bushati said, according to the government website. During his meeting with representatives from the Presevo Valley, a southern Serbian region with a majority ethnic Albanian population, Bushati underlined that Albania will continue to push for their involvement in the integration processes of Serbia. “Minister Bushati [noted that their] main concern was their socio-economic, cultural and educational progress and the lack of primary services and standards that are leading to the loss of prospects for young people and their movement from the Valley,” the press release said. It added that Bushati highlighted the importance of continuing the EU-led Kosovo-Serbia dialogue. “The process of dialogue must be concluded by a mutual recognition agreement between the two countries, which would bring not only the full normalisation of relations between them, but would also be a strong guarantee for democratic stability of the whole region,” Bushati said. 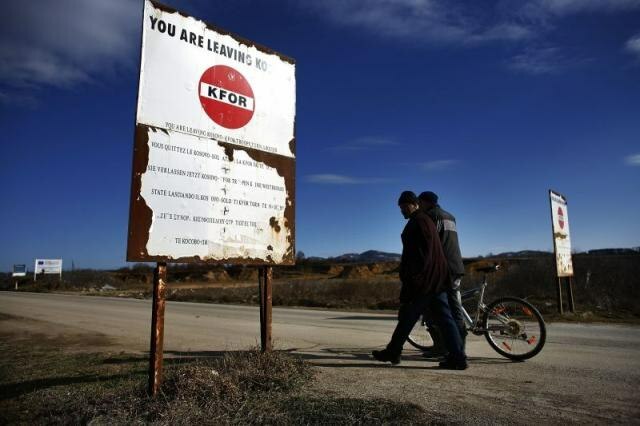 Kosovo declared independence from Serbia in 2008, which Belgrade has refused to recognise. EU-mediated talks on normalisation of relations were launched in Brussels in 2011. Since June, both sides have stated that the talks are entering the final stage. Talk of an exchange of territories – swapping Albanian-majority areas in southern Serbia for Serb-majority ones in northern Kosovo – has again arisen among some Serbian and Kosovo politicians, although it has never been an official topic of discission during the official dialogue in Brussels. This is not the first meeting of representatives of Albania and the Presevo Valley. On July 25, Albanian parliament speaker Gramoz Ruci met the leader of the Democratic Party of the Presevo Valley, Ragmi Mustafa. According to a report published on the Independent Balkan News Agency, IBNA, Ruci and Mustafa discussed „the situation in the three communes of the Valley inhabited by Albanians and … cooperation in order to achieve more prosperity and to integrate Albanians in central government institutions“. In February 2018, Albania’s Prime Minister, Edi Rama, suggested that Albania and Kosovo could one day share the same joint president during a speech to Kosovo MPs. However, this idea was described as impractical by analysts in Pristina and was condemned by officials in Belgrade. Although well known for advocating Albanian rights throughout the Balkans, Rama has so far stayed silent on the proposal for a territorial exchange between Serbia and Kosovo.